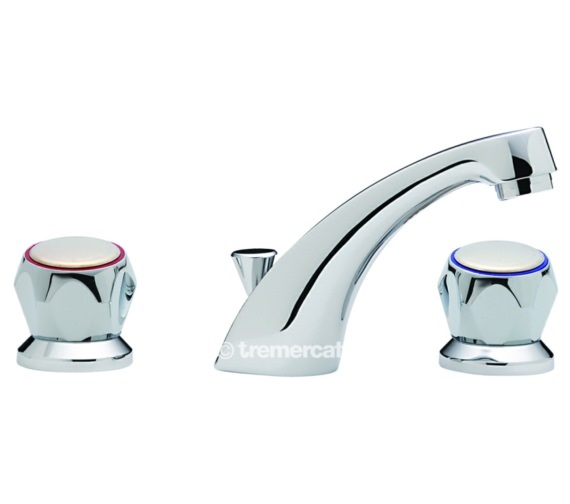 Tre Mercati, the leading distributor of fancy bathroom and kitchen brassware, is proud to present this Basin Mixer Tap under its Capri range. It is strikingly unconventional; this product is machined from solid brass and has a gleaming chrome finish. This aesthetically pleasing accessory will perfectly complement other fixtures and fittings in your bathroom. It is a three hole tap and is a strong and durable one. Supplied with pop-up waste, you can choose one with or without Mazak heads. The manufacturer offers a ten-year guarantee against any manufacturing defects on this tap. Guarantee : 10 years of chrome finish and 1 years of Antique Gold finish. Tap also available in other finish. Please note image is for illustration purpose only. Pair of heads available as an optional. Please note image is for illustration purpose only. Extremely stylish and smooth in functioning. I really like the levers, the stand out on our basin. Especially the gold rings, it looks just fab. I would say, If you are looking for a stylish tap at a budget price, this is the tap to go for. 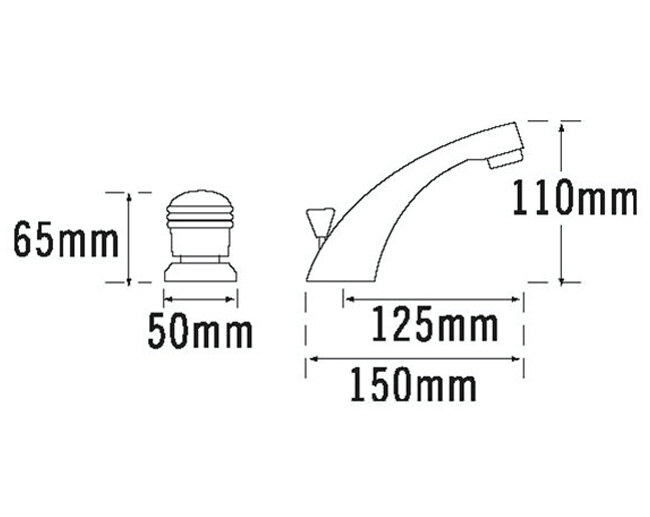 Hi Martin Koester, First thing for a chrome finish, you have to visit QS-V31508 (https://www.qssupplies.co.uk/bathroom-furniture-shower-taps/3925.htm) given link. The 329A will look the same as what is above in the picture, these are the chrome Mazak heads. Low-pressure indicates that they will work from 0.5bars of pressure, however, some people's pressure can be lower. High pressure is really only an issue when dealing with items with one-way valves etc., so a 3 hole basin tap should be fine as long as you do not have a pressure lower than 0.5bar.